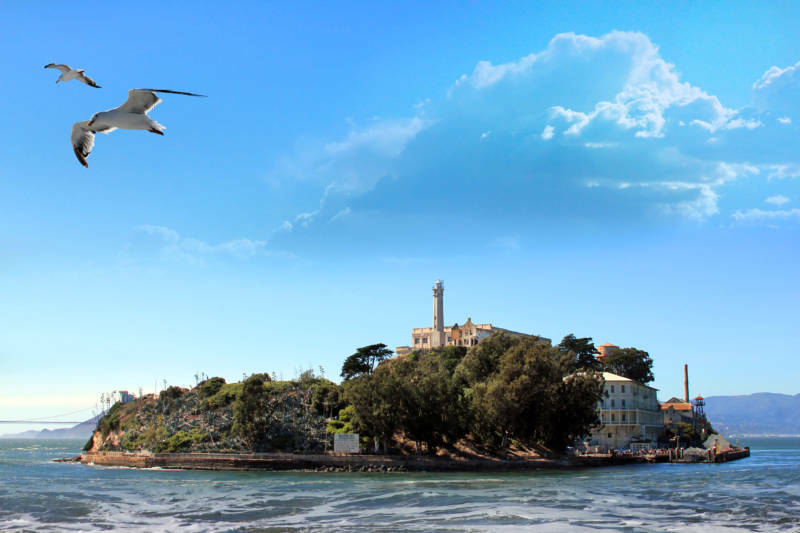 Once a symbol of captivity, Alcatraz Island is now a sanctuary for free-flying seabirds. More than 50 years ago, Alcatraz was a high-security prison housing America’s most infamous criminals (e.g., Al “Scarface” Capone and Robert “Birdman of Alcatraz” Stroud). The surrounding icy-cold water and forceful currents made inmate escape nearly impossible (with one ingenious exception). Today, these same characteristics make the island a refuge for seabirds. 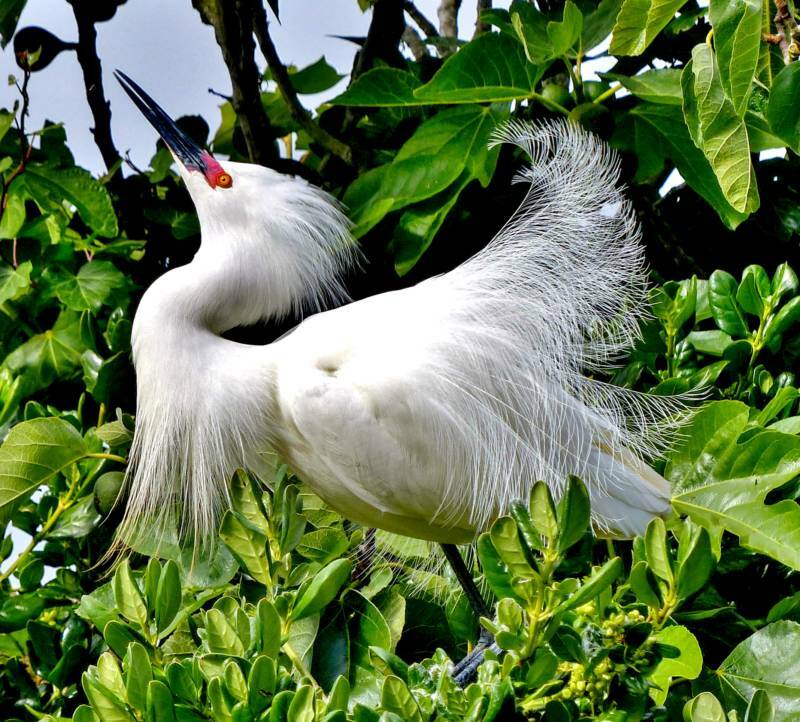 But these graceful and unusual creatures left the island once it became a fortress in the 1850s. Soldiers used dynamite to transform this jagged chunk of bedrock into a base fit for battle. A ring of rubble skirting the island’s perimeter is a reminder of it’s military legacy. In 1933, the U.S. Justice Department needed a location to house the inmates that were too difficult and dangerous to be contained elsewhere, which resulted in the transition of Alcatraz from a military base to a federal prison in in 1934. 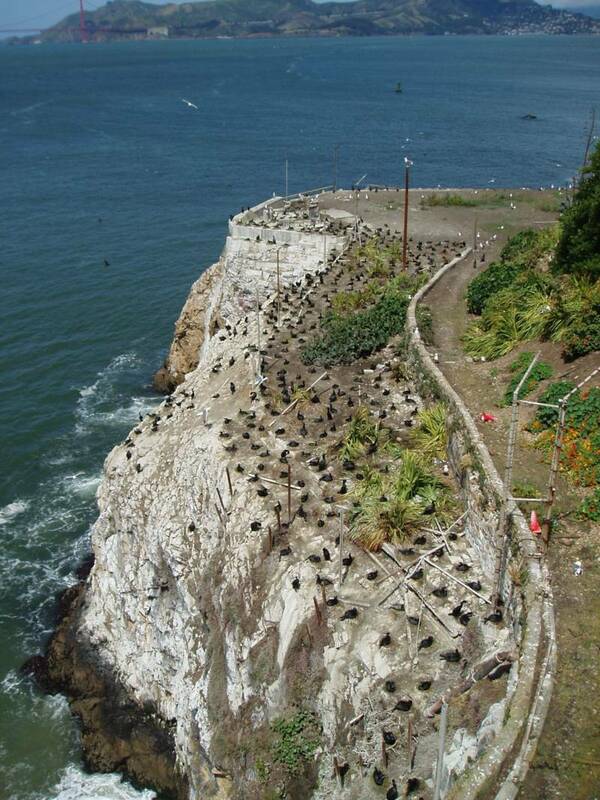 Decommissioned as a penitentiary in 1963, the birds have since re-claimed their namesake. But it wasn't immediate. Seabirds are very sensitive to ecological disturbance, so it took almost 10 years after the prison was shut down for the seabirds to start coming back. Today, the rubble refuse from the dynamiting of the island has resulted in tide pools that support the birds and other wildlife. 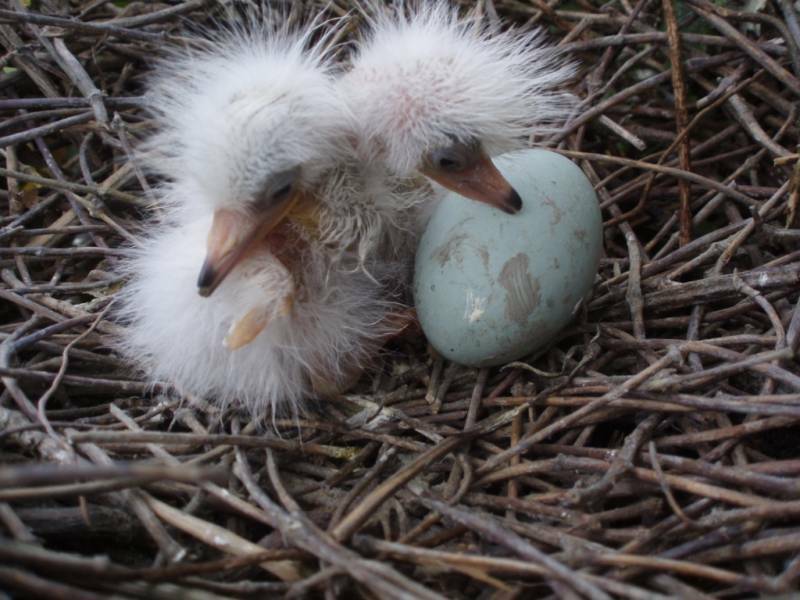 Since the 1990s, scientists have been tracking the bird populations closely, inspecting each nest and counting the number of adults, chicks and eggs. Alcatraz is now a National Historic Landmark, and its main draw is the prison, where visitors can do an audio tour, hearing guards and inmates talk about life on The Rock. Visitors don't often know about the wildlife on the island. "I was attracted to this conflict between cultural resources and natural resources and having them work together," says Alcatraz biologist, Tori Seher. "The prison is obviously the main attractant, but its a nice surprise that they see when they get out here that there's natural resources as well." Every spring, seabirds flock to Alcatraz to breed and raise their young—a process that the public cannot usually witness from only 10 feet away. Alcatraz sees roughly 5,000 visitors a day, but because of well-implemented park management, there's very little conflict between the sightseers and the birds. The unexpected, but very real conflict, is between the birds and the use of recreational drones. Because they are operated by remote control, Seher says it's difficult to trace the drone back to the person flying it. Hovering close to the island, she says, their buzzing scares away the sensitive seabirds, many of which do not return. She says drones are one of the reasons bird populations are dropping slightly right now. Seher urges visitors to really explore the island and not to stop at the audio tour. A territory abandoned by humans and vigorously reclaimed by nature, Alcatraz is akin to an accidental Eden. Other examples include the site of Chernobyl in the Ukraine or the DMZ between North and South Korea. Both areas burst with biodiversity on land where humans fear to tread. Scientists are now calling on the Obama Adminstration to turn Guantánamo Bay into an state-of-the-art ecological research station. They propose that, similar to Alcatraz Island, Guantánamo Bay could transition from a cage for humans to a haven for the recovery of the area's unique species and a center for climate change studies. A popular destination, tickets to Alcatraz Island sell out fast, and are likely gone for this July 4th weekend. Check here for a list of other places to visit within the Golden Gate National Recreation Area.